Rich experience for web users is a foremost need in present web applications, except for colors and representation of data , typography is also plays a major role. 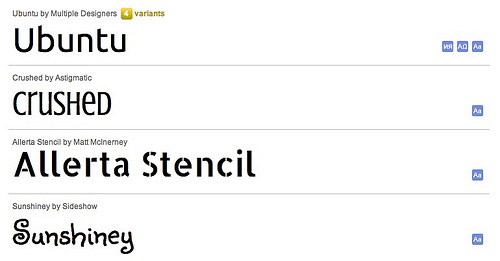 Cool fonts in your pages will provide a nice look for your web or blog. Till some time back web was supporting limited fonts such as Arial and times new roman , so services such as ‘typekit’ was developed. But as these services were paid subscription. 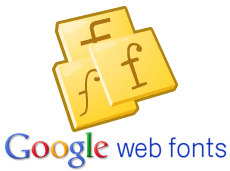 So , Google provided with it’s solution of using large verity of fonts in web sites. Its Google web fonts API . and it’s a free service. Step 1 : Select your stuff ! first thing you have to do is select a font ! , browse though the fonts gallery and choose !.